We provide our clients a range of high quality Leg curl / leg Extension Machine that cater to the requirements of various gyms, health centers as well as individuals. 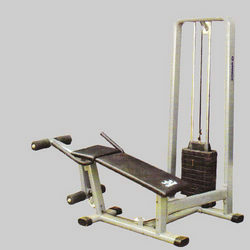 The leg curl machines and leg extension machines that we manufactured is acknowledged for its steady performance and durability. Keeping in sync with the latest market norms and policies, we are indulged in providing a high quality range of Leg Raise Equipment. The seat is angled to isolate quadriceps. Pivot points placed precisely at knee level for bio mechanical movement. Adjustable foot rollers adapt to all leg lengths. Weight Selectors: Magnetic color coded pin with Coiled lanyard. We are the stalwarts in manufacturing, supplying and trading Leg Curl Lying. These equipment are highly demanded in gyms for workout sessions. Our professionals manufacture these gym equipment using high quality material following industry standards and norms as per clients’ requirements. 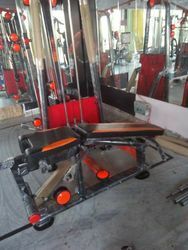 Unique Gym Equipment Pvt. Ltd.